The most honoured jazz singer of all time. 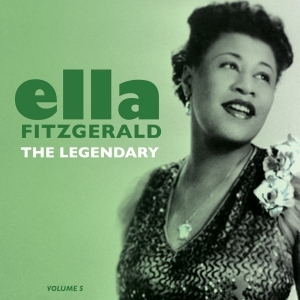 Ella Fitzgerald was born in 1918. Discovered after winning the Harlem Amateur Hour in 1934, she was hired by a bandleader, Chick Webb and in 1938 created a sensation with the hit “A-Tisket, A-Tasket”. Following Webb’s death in 1939 she took over his Orchestra for three years before going solo. Winner of countless polls as best female vocalist, she remains amongst the royalty of 20th Century popular music. Included in this volume are performances with The Chick Webb Orchestra and solo recordings.